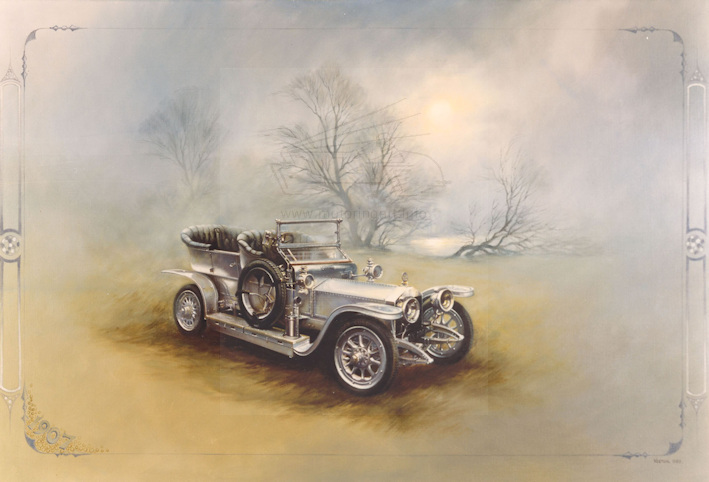 Principally known as a railway artist but has produced excellent motoring paintings. 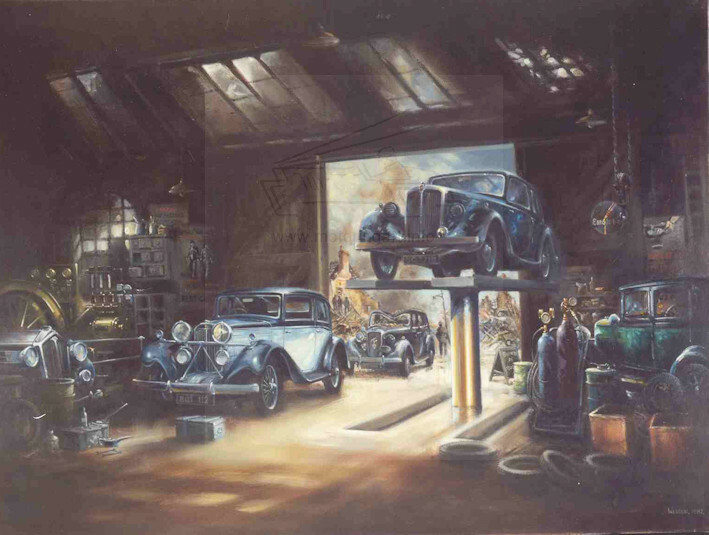 These paintings included a series of paintings about the history of traction engines, twenty paintings on the ‘Story of the British Motor Car’ and twenty five oil paintings of Rolls-Royce. The latter series was published in a high quality limited edition book entitled Rolls-Royce Fantasia. His work has been exhibited at many venues including two shows at the National Motor Museum at Beaulieu for whom he has also designed Christmas cards. Rolls-Royce Fantasia by David Weston published Merriman Enterprises Ltd 1985 a limited edition of 850 books.